CMT’s Next Women of Country Tour will embark on shows outside of the United States for the first time this year. 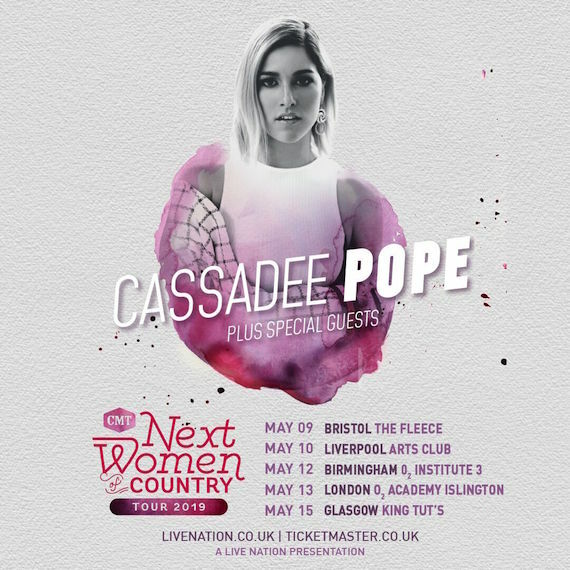 Headliner Cassadee Pope will lead five shows in the U.K. starting in May, marking her first U.K. headlining shows as a solo artist. She will also make a USO performance in Germany on May 11, in honor of Military Appreciation Month in the United States. These tour dates will support her new album Stages, which released in February. Pope is currently on tour with Maren Morris on her Girl: The World Tour, and will kick off her 11-date headlining CMT Next Women of Country tour on April 11 in Pope’s home state of Florida.